ECEFast presents the LevelStick, a new line of level measurement devices featuring a rugged construction for trouble-free use in harsh conditions. Level measurement devices generally available in industry are not only expensive but also susceptible to damage. ECEFast’s new LevelStick concept uses rugged PVC body components and is fully isolated from the measured medium. Design highlights include non-metallic wetted parts, simple and robust construction as well as a sensor supplied in kit form with all essential parts pre-assembled and prewired. 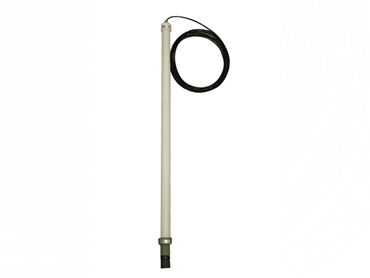 LevelStick level measurement devices are ideal for use in untreated sewerage wells, drainage pits, chemical tanks, salt water, pump inlet points and chemical feed drums. By matching the LevelStick with the PR-4116 DIN module, one can get universal power supply, 1500V isolation and two control or alarm relays, as well as freedom to rescale and calibrate the sensor’s 4-20mA output as required.